Hanoi (VNA) – Members of the Organisation of Asia-Pacific News Agencies (OANA) expressed concern over the spread of fake news and its negative impact on society, sharing measures to help news outlets and the public to conduct fact-checking on the occasion of the 44th OANA Executive Board Meeting hosted by the Vietnam News Agency (VNA) in Hanoi from April 18-20. 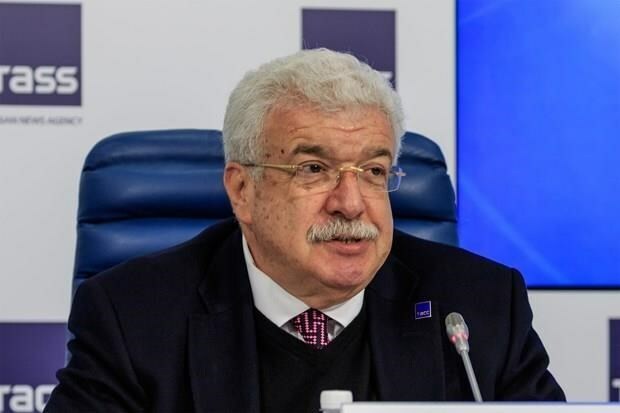 First Deputy Director General of Russia’s TASS news agency Mikhail Gusman stressed that it is time to use every advantage to develop mechanisms in the fight against fake news. The first step will be forming close ties among news agencies, possibly in a traditional alliance like the OANA, he suggested, stressing on the need to give a clear definition of “fake news”, along with legal arguments and regulations. According to Gusman, the OANA is not only a venue for news agencies to share experience, but also to make important decisions affecting the stability of the global information space. When TASS assumed the OANA Chairmanship, a code of professionalism ethics for OANA was issued with the support of the Australian Associated Press (AAP), which dictates responsibility for the correctness of information, including news, photos, and videos, and bans the publication of news that could promote the activities of terror groups. Given the context that fake news is spreading and harming nations, the Bahrain News Agency (BNA) affirmed that it does not compromise in its quest for honest reporting of the multitude of events in the country and in the world. As local, regional, and international events require regular and prompt coverage in the news, the BNA assumes the responsibility of contributing effectively to keeping the international community well informed on events and conferences, as well as on contexts and outcomes. The agency shared its experience in keeping to the golden rule of not falling for fake news stories, no matter how genuine they are made to look or sound. It also has created win-win situations to exchange credible news with other agencies in the Middle East, Asia, and Europe, and signed agreements with some universities and research centres in order to boost chances of dealing with only factual news and analyses. The BNA has also trained its staff on the best practices to verify all news that it receives via email, fax, phone calls, and messages or that its monitoring team spots on websites. Meanwhile, the Republic of Korea (RoK)’s Yonhap news agency shared that the country’s media outlets are strengthening their fact-checking mechanisms to prevent damage from spreading fake news and to allow the readers to decide what the facts are when there are conflicting versions of stories. Yonhap, the RoK’s premier newswire service, set up a fact-checking committee and has since made it a permanent team in an effort to contribute to a virtuous cycle in the local media market and to provide news that is fast, precise, and balanced. Yonhap’s fact-check team was officially launched in April 2018 as part of the newsroom. Foreign correspondents and reporters can pitch in by writing articles tagged with “fact check” to highlight issues that require the separation of facts from untruths. The aim is not to limit fact-checking to specific sections or issues. Fact-checking has now become one of the most important concerns for Korean media. Broadcasters and newspapers have separate teams of people focused directly on this issue.